Within just three short years, The Borland Group has become Michigan’s largest investor in residential properties. Founded by Dylan Borland, who has been investing in real estate since 2006 and has sold over 1,000 properties within that time frame. Dylan’s expertise and knowledge in real estate investment and strong dedication to inspire values of commitment, trust and respect within the Borland Group have established his name as one of the most respected real estate investors in Michigan. Even after three years, The Borland Group continues its goal of building trust throughout the Michigan area and actively investing in real properties every year. In the next 12 months, the company will be breaking into the world of estate developments starting with the development of luxury condos in the Metro Detroit area with the expert guidance of seasoned associates and mentors. The Borland Group aims to make these properties the finest of its kind in Michigan, competing with some of the best in the world in terms of amenities and services. The condos will be priced in line with current market values. The Borland Group is also looking at constructing one of the finest mixed-use towers in Downtown Detroit Michigan. This marks a new strong foundation for downtown Detroit’s development area and the city’s rebirth. Since 2006, numerous real estate development projects worth $6 billion have been completed in greater downtown. Detroit is facing brighter days as in the past years, many projects have inched forward in its recovery efforts, including three casinos, Comerica Park and Ford Field, just to name a few. That progress, however, seems snaillike compared to the potential and pace of today. With a streetcar line, lots of housing, restored riverfront, entertainment district and planned international bridge, greater downtown Detroit appears to be finally moving forward in terms of developments. Big projects and a blatant optimism among the richest and most powerful people in the city could push Detroit into an upturn that will transform it greatly in 10 or 20 years. 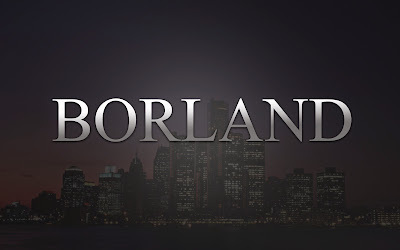 The Borland Group aims to contribute to the city’s further growth. The company is currently in the beginning stages of development and is eager to discuss further developments with anyone interested in this new endeavor. For more information, feel free to visit www.TheBorlandGroupllc.com.